Early one morning last December, Jeff Gracik was heading to his Southern California home's garage-workshop, where he makes his living, when he heard a loud, hurried knock on his front door. Thinking it might be a rushed UPS driver, he quickly opened the door. But it wasn't UPS. Standing on his doorstep were three badge-flashing inspectors from the U.S. Food and Drug Administration. They had come to inspect Jeff's business. Just what is Jeff's business? Does he produce food? No. Does he produce drugs? No again. So why the unannounced visit by FDA inspectors? 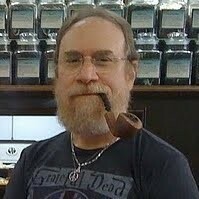 Jeff makes pipes for tobacco pipe smokers. He doesn't make tobacco, mind you, which (alas) Congress empowered the FDA to control. He makes pipes, most of which are made from wood (most commonly briar but other varieties, too), materials such as acrylic and vulcanized rubber for the mouthpieces, and wood stains, which Jeff buys but does not make. "The definition of 'tobacco product' ... includes all components, parts, and accessories of tobacco products (except for raw materials other than tobacco used in manufacturing a component, part, or accessory of a tobacco product). FDA interprets (italics mine) components and parts of a tobacco product to include any assembly of materials intended or reasonably expected: 1) to alter or affect the tobacco product's performance, composition, constituents or characteristics; or 2) to be used with or for the human consumption of a tobacco product. Both e-cigarettes and pipes meet this definition." You may find it odd that the FDA chooses not to regulate lighters, matches, ashtrays, humidors and the like, but it has its reason. It deems such things to be accessories, not components and parts. Accessories, the FDA says, "do not contain tobacco, are not derived from tobacco, and do not affect or alter the performance, composition, constituents, or characteristics of a tobacco product." Since pipes do those things, they are deemed regulated components rather than unregulated accessories. Note the word I emphasized a couple of paragraphs earlier: interprets. The FDA admits it has no explicit statutory authority to regulate things not made or derived from tobacco even if they can be used to consume tobacco. Did the members of Congress who wrote and voted for the TCA (which amended the FD&C) deem non-tobacco products such as wooden pipes to be tobacco products? It appears not. The legislation states that the "term 'tobacco product' means any product made or derived from tobacco that is intended for human consumption, including any component, part, or accessory of a tobacco product (except for raw materials other than tobacco used in manufacturing a component, part, or accessory of a tobacco product)." The word "including" would seem to limit the covered components, parts, and accessories to things "made or derived from tobacco," of which the briar root Jeff Gracik uses is not an example. Briar comes from the root of the flowering plant called Erica arborea, or tree heath. To reinforce my point, note that the word "pipe" appears in the TCA only as a qualifier for the word "tobacco." The statute's authors wanted to ensure that "tobacco" is understood to include pipe tobacco and not just cigars and cigarettes. But the legislation contains not one single reference to pipes per se. So Congress apparently did not intend to authorize the FDA to control anything other than tobacco or things derived from it, even things that are likely to be used to consume tobacco. At any rate, three FDA inspectors (two of them trainees) turned up unannounced at Jeff Gracik's door to say that they had the authority under the TCA to enter his premises — right then — and inspect his home workshop. Actually, he had "consented" to inspections once every two years when he registered with the FDA as a pipe maker. Jeff had learned earlier that under the law, retailers could not sell his pipes unless he was registered, so he allowed a retailer to register him, saving him the trouble of doing the paperwork himself. He had no choice; he earns his living as a full-time pipe maker and wants to keep doing so. Needless to say, Jeff was unaccustomed to having federal agents traipsing around his workshop. "I was so shocked," he told me. He said the inspectors were friendly but firm — and apparently unsure what they were supposed to be doing. This might have been their first venture into unknown territory. (Other pipe makers are being similarly visited.) The inspectors started asking questions, "most of which were not really relevant to pipe making. Things like: 'Tell us about all the materials you use. Tell us about where they're from. Do you have receipts for where they're from? We need the names for all the distributors for all your materials. We need to know exactly the ingredients with which they're treated; so, for instance, briar, how is it treated?' Of course, I'm an artisan. I don't have those kinds of records." That was just the beginning. "They had me demonstrate how to make a pipe. So I had to take a block of briar and chuck it in my lathe. ... And as the day went on, they became more and more interested in what I was doing." He said some of their questions suggested they were interested in the potential toxicity of materials and ingredient, but that's as far as that went. They tested no materials or stains and took no sample with them. Jeff was not told to submit anything for approval. The visit lasted 6 1/2 hours, as if this small-business man had nothing better to do than entertain a group of FDA inspectors. "I got nothing done that day," he said. "They wanted to see written procedures," he explained. "How do you do A to Z?" He told them that as a craftsman and unlike a factory, he has no written procedures As the hours went by he sensed he was almost gaining sympathy from the inspectors. Jeff said he did his best to comply with all requests, including requests for documents going back to 2006. "If they shut me down because I failed to answer a question to their satisfaction," he said, "then my kids don't eat and we foreclose on our house." For the record, the TCA states that regulations "shall not impose requirements unduly burdensome to a tobacco product manufacturer or importer, taking into account the cost of complying with such requirements and the need for the protection of the public health." Decide for yourself whether the FDA obeys that prohibition. It's hard to say how many pipe makers we have in America. People connected with the industry and hobby estimate the number of full-timers at 25 to 30, with a few hundred more who make and sell pipes part time. Jeff is afraid that the thicket of rules could persuade many of them to "throw in the towel." He says: "It scared the hell out of a lot of pipe makers when we found out we were under this kind of scrutiny." So the FDA harasses — even if it's with a smile — small-scale artisans who scratch out livings working by hand with wood and other harmless materials. To what end? It's all part of a larger puritanical campaign to harass peaceful Americans who enjoy consuming tobacco via cigarettes, cigars, pipes, and smokeless tobacco and using non-tobacco nicotine e-cigarettes. "Nothing so needs reforming as other people's habits," Mark Twain said.